Santa Fe & Taos' favorite guide to luxury travel, fashion and lifestyle--the Essential Guide--is now expanding into three exciting new destinations in North America. The Essential Guide—the Little Black Book of luxury travel that has been capturing the charm and character of Northern NM for over 23 years—is now expanding to some of the country’s most popular destinations. Designed as a lifestyle publication with a focus on the arts, home design & décor, high-end shopping, dining and recreational activities, the mix and variety of advertisers and editorial are built to communicate the rich heritage, culture and traditions of the region in which it is published—to the acclaim of locals and visitors alike. 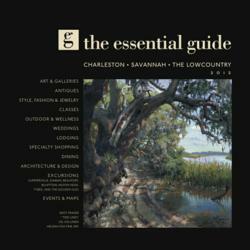 Despite economic difficulties nationwide, The Essential Guide has grown in size, production and distribution every year for the past 23 years and, nationally recognized, the Essential Guide has become synonymous with the best of regional art, fashion, food and travel. WHAT MAKES THE ESSENTIAL GUIDE DIFFERENT? WHERE AND WHEN WILL THE NEW GUIDES BE PUBLISHED? WHAT ARE OTHERS SAYING ABOUT THE ESSENTIAL GUIDE? For a video about the Essential Guide, go here. Patricia and Chip Byrd, owners of Byrdnest Publishing Inc., have leveraged their extensive corporate and creative experience in marketing, strategic planning, advertising and corporate design to create sustainable, competitive advantages for the business and their clients. Patricia was the CEO of Lanpher, Wilson & Byrd, a consulting firm based in Washington D.C. that lead national companies, government agencies, senior management and new business ventures to success. Chip’s background includes 20 plus years behind the camera in the film industry, creating motion pictures and independent films. Prior to this, Chip worked in the travel industry, namely at the Walt Disney World Resorts.